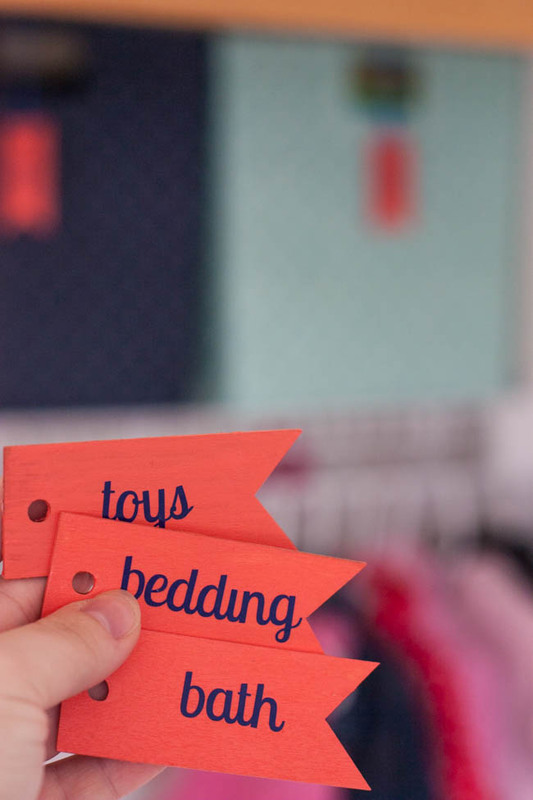 Organize your space with these cute DIY labels! 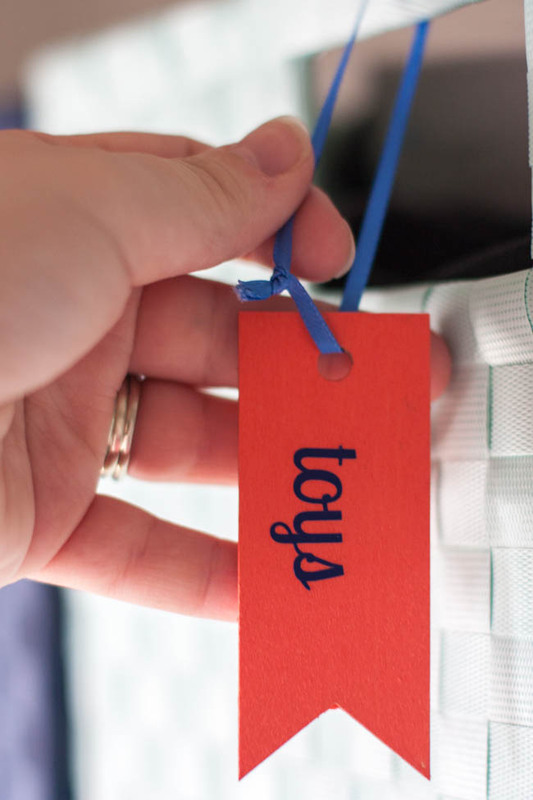 When it comes to organizing projects, a pretty label is like the cherry on top. 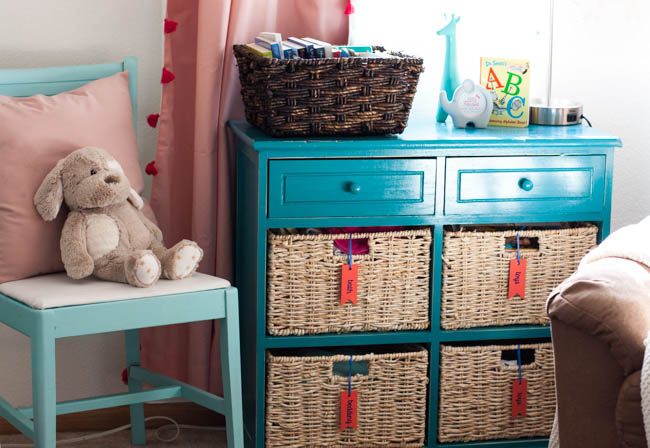 Nothing beats a beautifully organized space complete with adorable DIY labels! As you saw in last week’s post about my nursery dresser organization ideas, I’ve been busy organizing Chloe’s nursery lately. 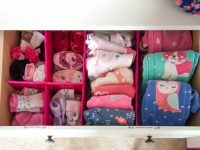 When we moved the dresser/changing table into the nursery closet, I kept the existing closet shelf and filled it with a row of these pretty storage bins. These bins are the perfect place to store outgrown clothes and extra diapering supplies. Now that we’ve been using these storage bins for a while and I’ve figured out what works best to store in each of them, I whipped up some cute coral DIY labels. I love that the wood makes them very durable. It will also be simple to change the vinyl lettering if/when our storage needs change in this room. Let me show you how I made these cute labels! A huge thanks to DecoArt for sponsoring this project. This post contains affiliate links. See my disclosure policy for more information. 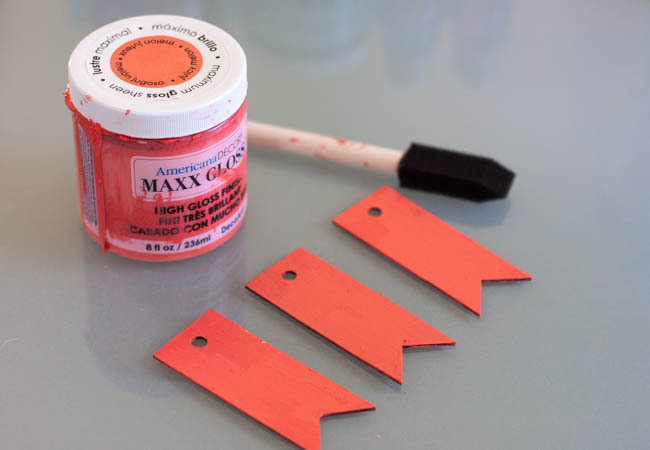 Paint your wooden tags using a small foam brush. A couple coats of paint on each side will do it. I chose this Maxx Gloss paint because it’s very durable and extra glossy. And I love this “Juicy Melon” color! 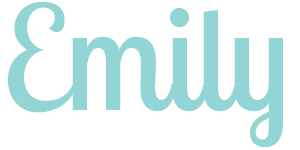 Cut out vinyl lettering using your Silhouette or Cricut machine. 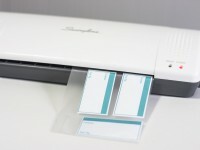 Decide what you want each label to say and design the lettering in your machine’s design software. Make sure you “weld” the letters together so any overlapping letters combine into one shape. 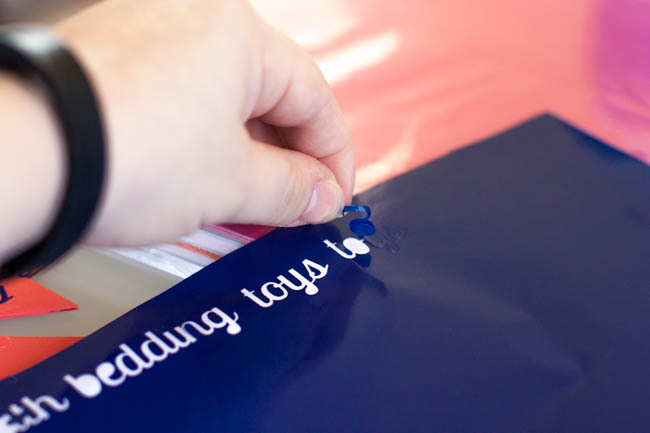 Peel the lettering off of the vinyl sheet. You may need to “weed” the excess vinyl around the letters first, but this cursive font was easy enough for me to pull up with my fingers without any “weeding”. Center your words on the labels and stick down firmly. Use thin ribbon or string to tie your new labels onto the handles of your storage bins. I made my ribbon long enough so the labels hang just below the handle opening. What do you think of these DIY labels? 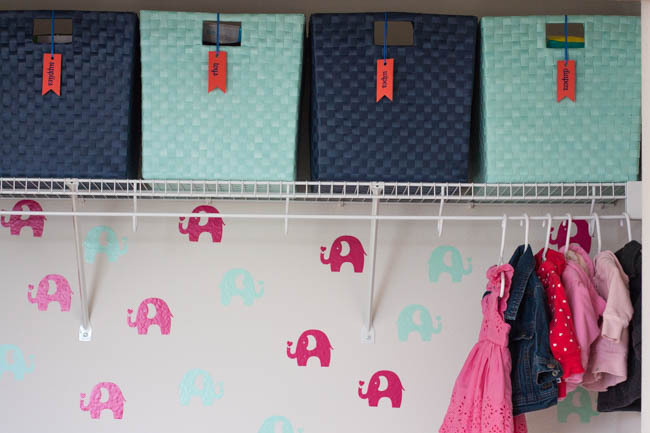 I love the pop of coral they add to the storage bins in our nursery closet! 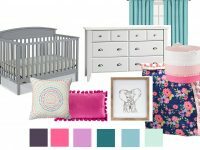 And here’s a sneak peek of the opposite side of Chloe’s nursery. Of course, I labeled these storage bins, too! 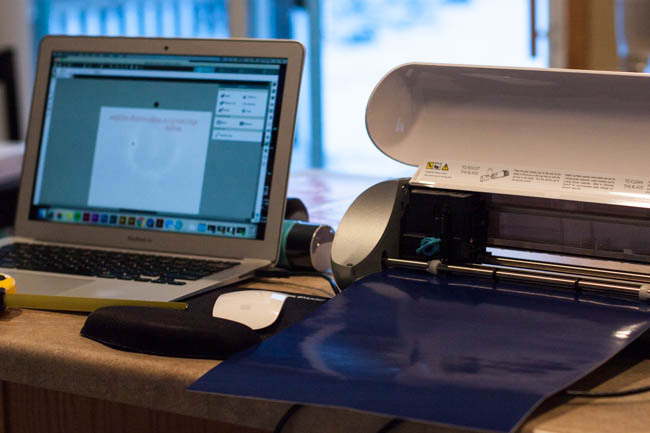 Hopefully, this post inspires you to make your own DIY labels! 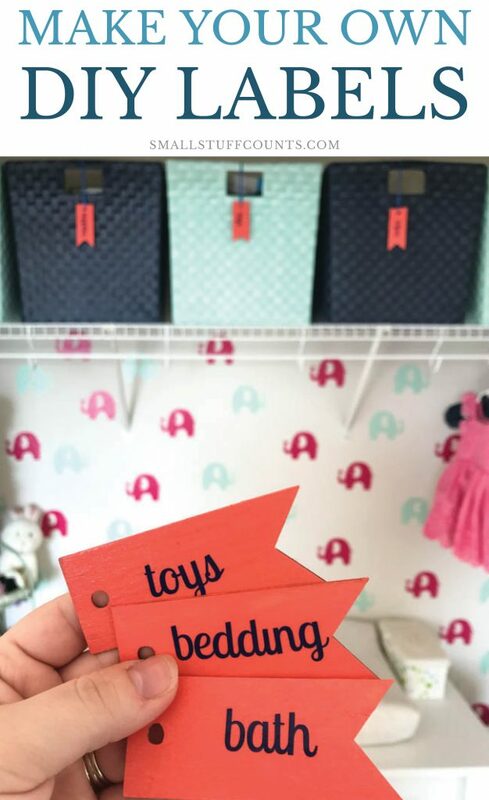 Making durable wooden labels tied with a bit of ribbon makes it super simple to switch the labels around to different storage bins. 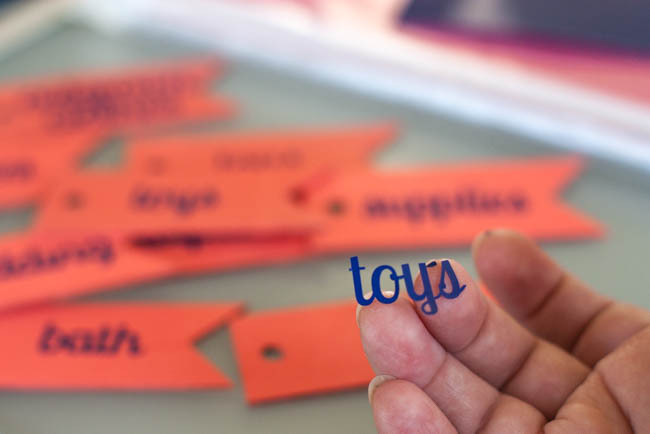 And you can easily replace the vinyl lettering as your organizing needs change. Where will you use these DIY labels in your house? For more organizing inspiration, check out my tips for nursery dresser organization ideas! Ready to conquer all those home projects swirling around in your head? Download this free printable planner to track project checklists, budgets, supply lists, paint colors and more. Subscribe for instant access. Hooray! 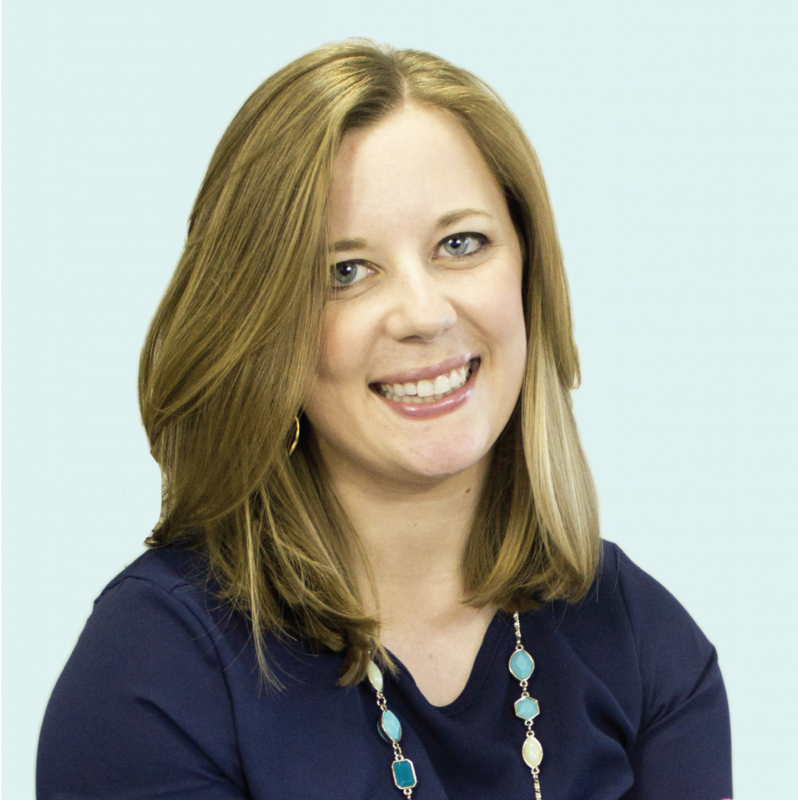 Your printable project planner is on its way to your inbox. Happy planning! Such a clever idea. Unique! Thank you, Nancy! I’m glad you stopped by. Have a lovely day!